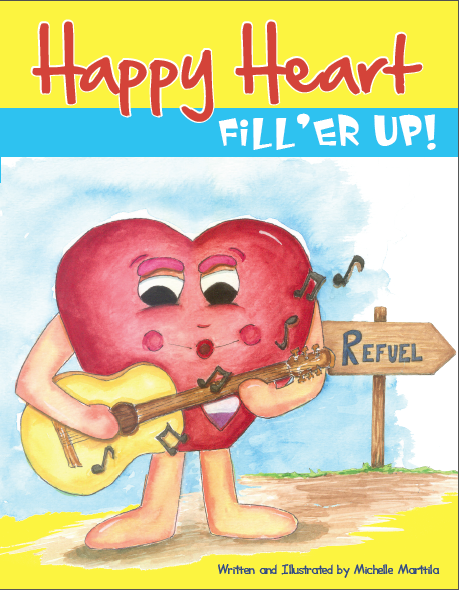 Lynchburg, VA – December 12, 2013 Liberty University Alumna, Michelle Marttila, releases her new children’s book, Happy Heart: Fill’er Up! Providing a resource for parents to help their children develop a relationship with Jesus Christ. Receiving outstanding reviews from parents and educators for her vivid illustrations and engaging story. Marttila, takes the character of Happy, a heart searching to fill up his emptiness, and introduces children to the concepts of choice, fulfillment, and how God’s Word is planted inside our hearts. Happy Heart: Fill’er Up! is dedicated in memory of the author’s nephew, Eli Seth Matthews, who passed away in 2010 from complications related to a three-year battle with Leukemia. A nonprofit foundation was started in Eli’s name in order to carry out his wishes to find a cure. A portion of Marttila’s proceeds go to support pediatric cancer research: www.braveeli.com. Christmas Decor – Barn Door (Frame) Update! What’s Merry About Christmas?